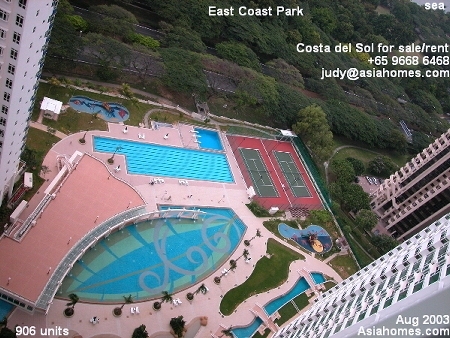 FOR INVESTMENT BUYERS - excellent investment in a water-fronting, modern condo. Many units are sea fronting. Breezy, bright bright apartments. Good for investors who want one of the few water-fronting modern condos in Singapore. Around 10 minutes' drive to the Changi International airport and 10 minutes' drive to Suntec City (financial district). A 2-minute walk to the East Coast Park - a large area of greenery for cycling, jogging and swimming. Many sea fronting food and beverage joints. Breathe in the fresh and strong sea breezes. Extremely impressive layout of facilities. A feeder bus will bring you to the above subways. They are around 2 km away. 903 East Coast Road Singapore 529509. Supermarket (Cold Storage) has all that is needed by the residents. In general, the gross rental income (annual gross rental income/purchase price) from most of the Singapore investment condos that can find tenants within 6 months, is 3%. Most foreign investors are buying for political stability, a clean government, no legal disputes in ownership titles, no vandalism and damage to property if there is no tenancy. Also security and good management by the management corporations. They are betting on capital gains without capital gains tax, if the keep the condos more than 3 years or for the longer term. Two world famous big casinos are being built in the next few years and these will bring in more foreign investors who want stability and security in their property investments. In 2006, the advantages are a stable country in the midst of fast growing region. No capital gains tax if you are not trading. 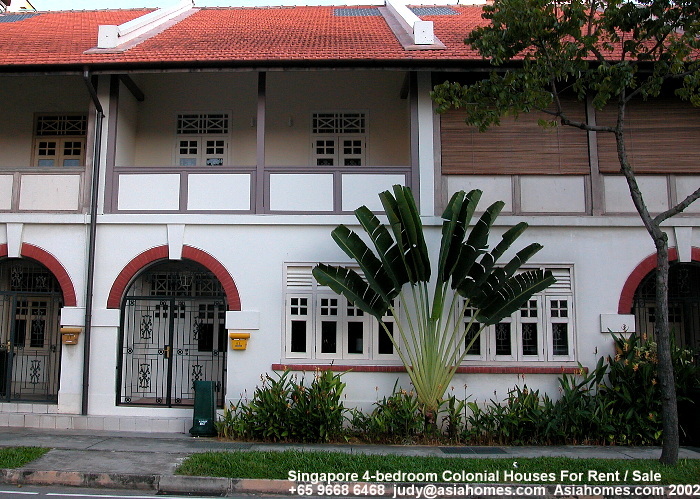 Property prices relatively low in 2006. In 2011, there is an increase in prime location higher value/upscale condos as there was a strong demand from foreigners from various countries in China, Europe, Australia, Indonesia and Malaysia. Property prices have been down for the past 10 years while the regional properties have had shot up.